The Samurai Stickers Too iMessage Sticker pack contains 36 stickers to entertain your friends and family with. Send as many stickers as you like and make your chats more fun! 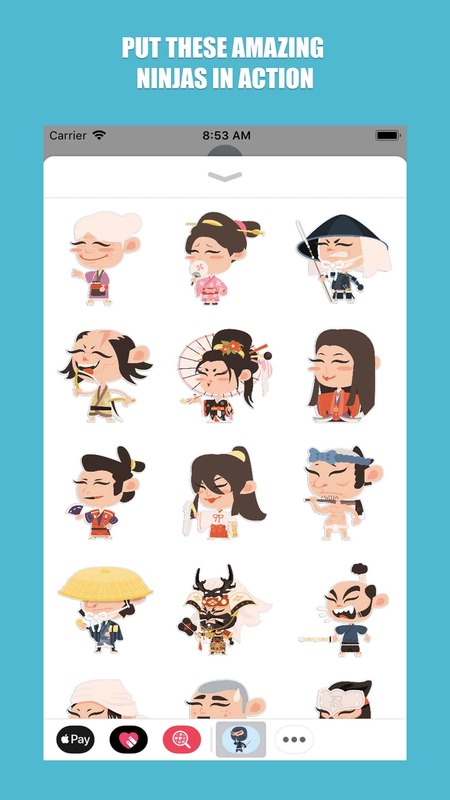 – NEWLY INSTALLED: Go to iMessage, tap on App Store icon, scroll left or right on sticker drawer at bottom of the screen until you find Samurai Stickers app icon, then tap to open. – RECENTLY USED: Tap the App Store icon next to compose field and then tap on green clock icon to access recently used stickers. – BUY IN iMESSAGE: Tap on App Store Icon next to text entry field, then tap on App Icon on the sticker drawer at bottom of the screen, tap on Visit Store to access the App Store for iMessage. 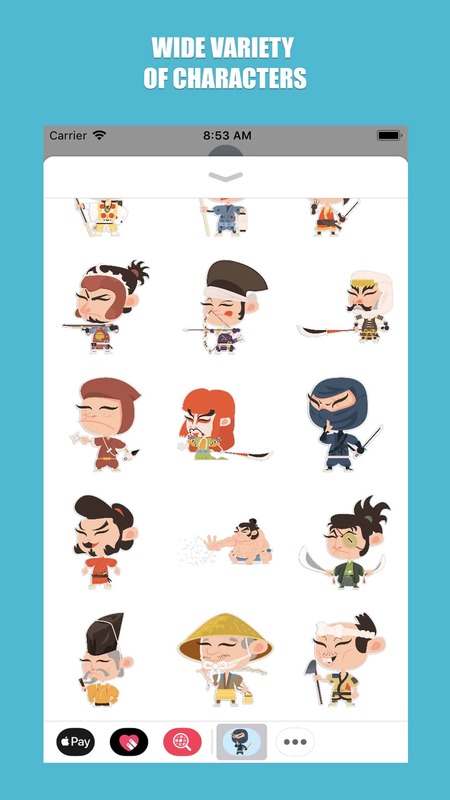 Use keywords like “Samurai Stickers Too” with search to find sticker app. – NEWLY INSTALLED: Tap the four-dots icon on the lower left corner which brings up the app drawer. – RECENTLY USED: Tap the App Store icon alongside the compose field to see your most recently used iMessage app. – BUY IN iMESSAGE: Tap the plus icon to access the App Store for iMessage. 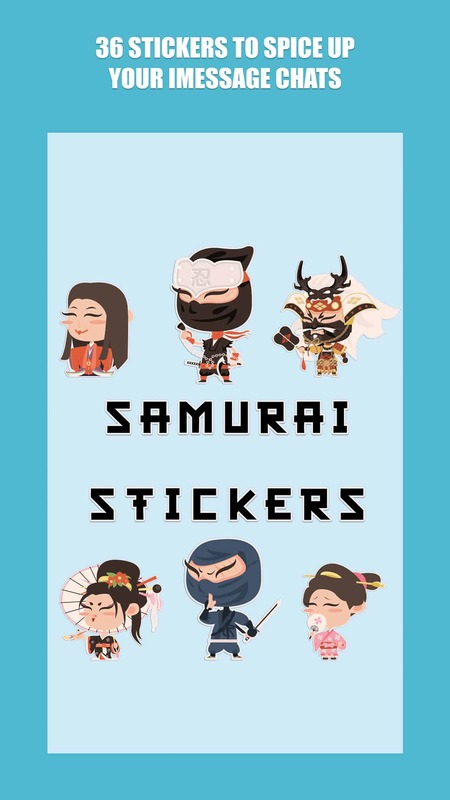 Use keywords like “Samurai Stickers Too”. NOTE: Older OS versions may show images inline and therefore, they are unable to be pasted on top of chat bubbles, photos and other stickers.